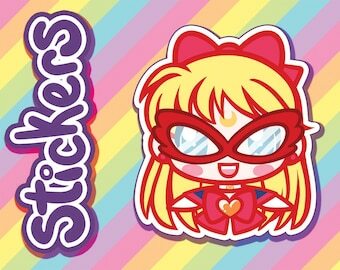 All Sailor Moon, all the time! 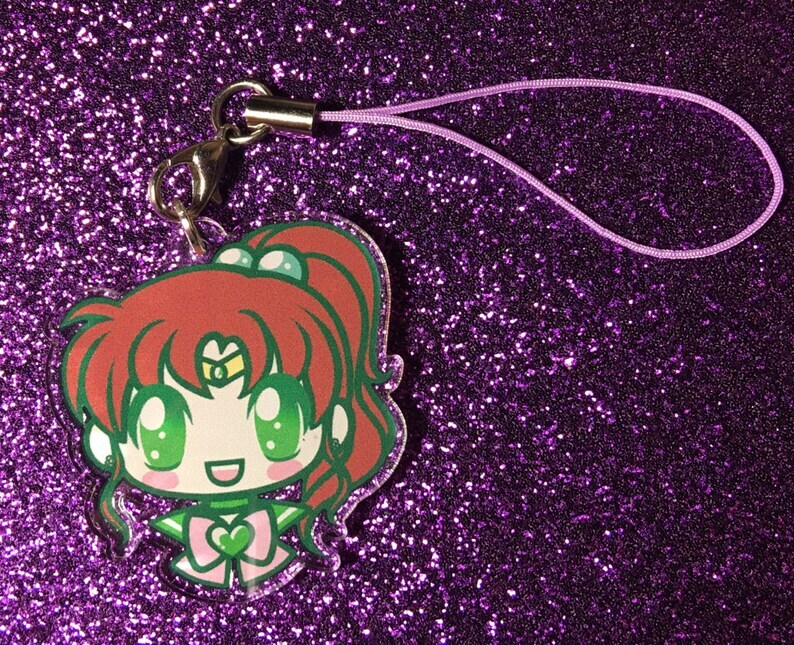 This listing is for one Sailor Jupiter charm. 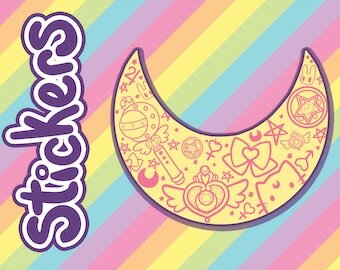 This cutie is approximately 1.5" wide, and professionally printed on clear acrylic! All 3 arrived safe and sound in well packaged condition! This Jupiter charm looks great! I loved the artwork already, but the colors look so good in person. The seller was also awesome and clearly puts in a ton of effort at every level, from the original designs, to the individual packaging each charm arrived in, to their colorful and eye-catching business card they included with my order. I would definitely recommend this shop and would purchase from them again!